Spc. Michael W. Franklin of Coudersport, Pennsylvania was single, and had regularly volunteered for hazardous duties so as to allow the married soldiers in his group to avoid them. Michael is survived by his parents, William and Tina Franklin. 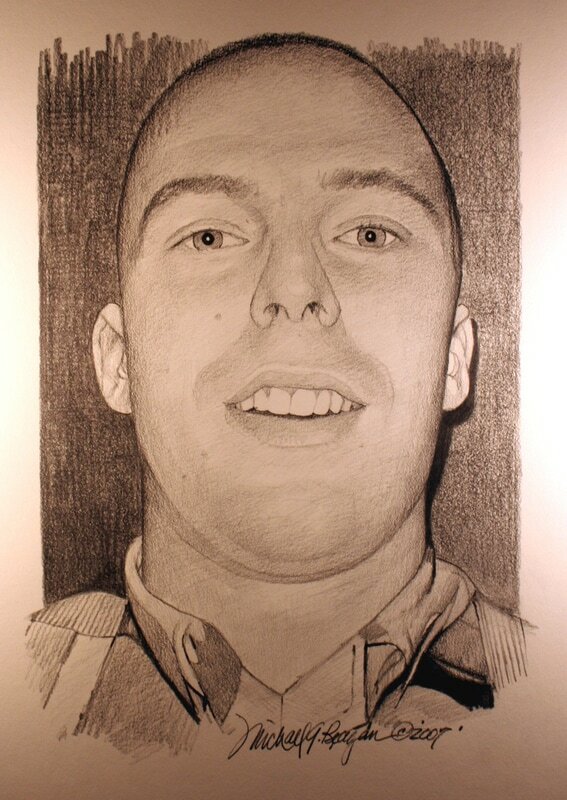 He died in Ramadi, Iraq, when a vehicle-borne improvised explosive device detonated near his screening area at age 22. 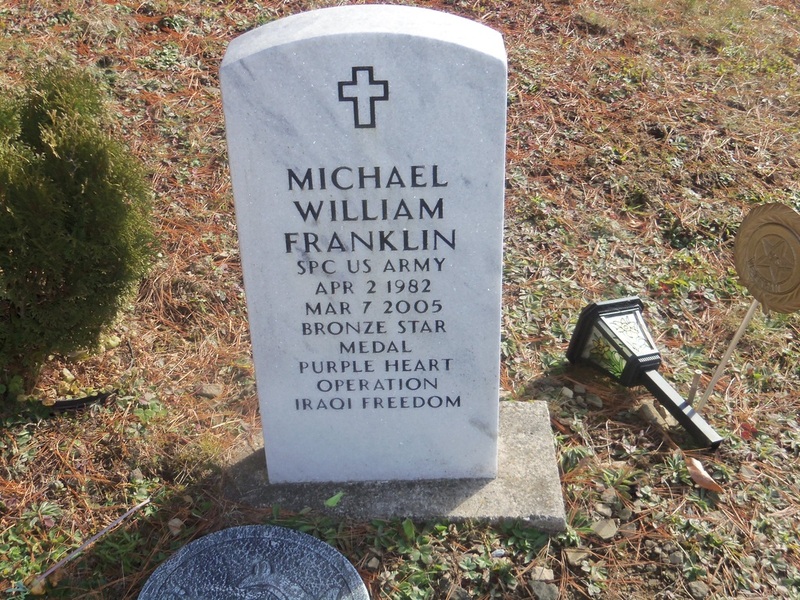 Michael Franklin was a spiritual man, but that didn't stop him from being tough. On the football field, he was a force to be reckoned with. "He would go up against guys bigger than him and he would level them," said Fletcher Brothers, the founder of a teen village in Lakemont, N.Y., where Franklin went to school. 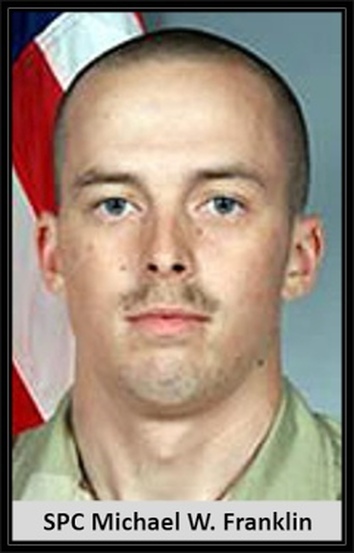 Franklin, 22, of Coudersport, Pa., was killed March 7 when a car bomb detonated near his checkpoint in Ramadi. 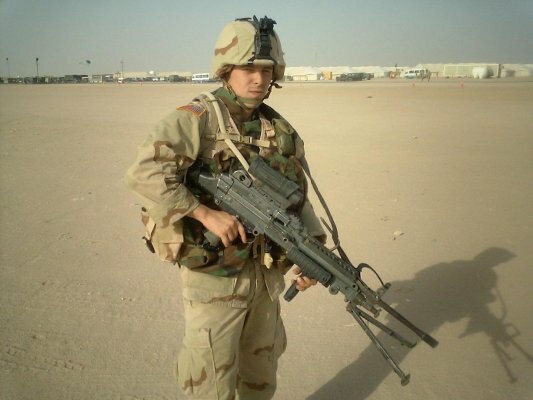 He was based at Camp Howze, Korea.